The Association is administered by an Executive Committee comprising the President, Vice-President and from two to ten members. The actual number of the members is fixed by the Annual General Meeting (AGM). The President and Vice President are elected for two-year terms of office by the AGM on the recommendation of the Executive Committee, which also appoints the Secretary-General. to monitor proposals for global legislation, regulations and other developments in the area of health, safety and the environment. to establish relationships with regulatory authorities in order to improve their understanding of the health and environment related to science of tungsten, tungsten compounds and hardmetals. After working as a consultant to ITIA for six years, Dr Ranulfo Lemus, a senior toxicologist, has become the HSE Director since February 2013. Lemus takes the lead on the Association's HSE work programme and interfaces with worldwide regulatory agencies and authorities on the HSE matters relating to tungsten materials. Dr Wolf-Dieter Schubert, Professor at the Vienna University of Technology, was appointed as the ITIA's Technical Consultant in 2003. Schubert heads a group on metallurgy with particular emphasis on refractory metals and hard materials. He is author of more than one hundred scientific publications and has instructed more than fifty diploma and doctoral thesis works. The appointment of Dr Burghard Zeiler as the Secretary-General was announced on 1 January, 2012. 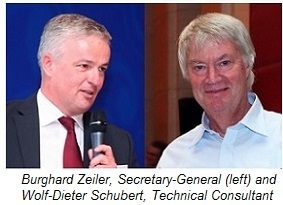 Zeiler joined Wolfram Bergbau und Hütten AG in 1991 and became the CEO in 2000. 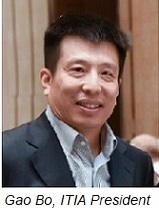 He was an ITIA Executive Committee member from 2000 to 2011 and served as the ITIA President from 2006 to 2008.